It’s now official – Harry Potter and the Deathly Hallows will be split into two separate films. Over ten years ago, we made a commitment to Jo Rowling that, above all else, we would be faithful and true to the spirit of her books, and ever since we have endeavored never to compromise on the creative ambitions of the films. The Deathly Hallows is so rich, the story so dense and there is so much that is resolved that after discussing it with Jo, we came to the conclusion that two parts were needed to do it justice. I am thrilled that David Yates is returning to direct ‘The Deathly Hallows.’ He is both inspired and inspiring and is a passionate fan of the remarkable world and characters Jo has created. I know he will lead our incomparable cast and crew—most of whom have been with us since the very beginning—in bringing the series to the unforgettable conclusion it deserves. I’ve had great pleasure working with a tremendous cast and crew thus far, on both ‘the Order of the Phoenix’ and ‘the Half-Blood Prince.’ It’s a wonderful world to work in and be part of and to create within, and I consider it a great privilege to continue to bring Jo’s extraordinary world to the screen, and to be the director to complete this epic and exhilarating journey. I think it’s the only way you can do it, without cutting out a huge portion of the book. There have been compartmentalized subplots in the other books that have made them easier to cut — although those cuts were still to the horror of some fans — but the seventh book doesn’t really have any subplots. It’s one driving, pounding story from the word go. How could I not love a fansite whose contributors include people named Thaddeus and Aunna? This is a great Australian site with an impressively young staff who have produced some really insightful editorials; I wish I could highlight a couple of them, but that would be waaaay too revealing. If you head over to FAQs, however, you will see some of the open letter questions answered (at long last, yes, I know… but I had to finish “Deathly Hallows” first). So congratulations and thanks, Andy, to you and all your talented colleagues. From the bottom of my heart, thank you Jo – this means the world to all of us here at HPFZ. 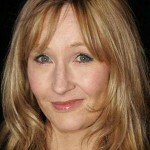 J.K. Rowling has taken the time to answer some of the questions from the open letter we wrote last year! Ms. Rowling answered questions about Draco’s Patronus, Tonks and Myrtle’s Hogwarts houses, Death Eaters (Are Alecto and Amycus, the two sibling Death Eaters, the Carrows mentioned by Snape in Spinner’s End? ), Tom Riddle’s birth date (it is indeed December 31), and the properties of Draco’s wand. You can read the answers Jo wrote by clicking here, and the open letter we wrote at this link. Thank you ever so much, Jo! 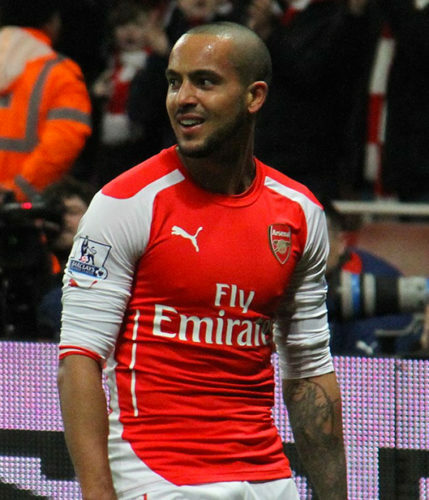 English footballer Theo Walcott’s family has been fitted for their cameo appearance in Harry Potter and the Order of the Phoenix. Don Walcott, his father, was unable to disclose which scene his family will appear in.